At BASIS.ed our mission is to provide our students with a transformative K-12 education. 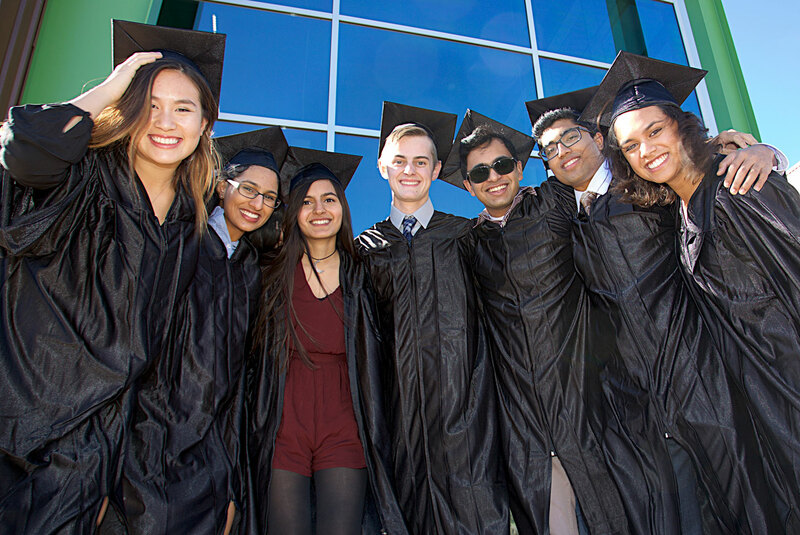 With the cutting-edge BASIS Curriculum, through exceptional teaching and faculty mentoring, we will produce graduates who have broad intellectual capabilities, international perspectives, critical thinking proficiency, and creative problem-solving skills to be leaders in their future academic and professional lives. Children can achieve more than they have commonly been told. With hard work, dedication, and the support of teachers and parents, 3rd graders can think critically, 6th graders can learn physics, and high school students can read critical theory and philosophy. Instructional time is precious. Every minute of every class should be meaningful. Mastering the basics is the precondition for going beyond them. Students learn to listen for the music of Shakespeare’s iambic pentameter and to decipher crucial details in an historical primary source, but they must also be able to parse the grammar of a sentence and craft concise and persuasive prose. High-stakes, summative tests that assess content mastery and learning skills (BASIS Curriculum Comprehensive Exams and the College Board Advanced Placement Exams, for example) are foundational for learning. The evaluation of teacher performance must be based both on classroom instruction and on student learning results of high-stakes assessments.